As your child grows and develops, it’s important to continue finding opportunities for the family to play together. Have fun and use the time to bond as a family. In this post, we’ll learn some different activities and games to play with our toddlers and preschoolers to help facilitate learning, development, and strengthening relationships. When your child enters the preschool age, their imagination begins to grow wild. This is when they can start engaging in different types of play, each enhancing its own area of your child’s development. Encouraging and creating opportunities for these types of play will help teach your preschooler new skills that they will use later in life. 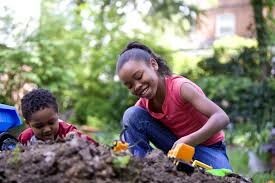 Constructive play is child centered, so allow your child to make the rules and lead the fun. 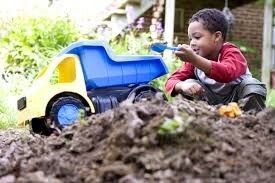 When engaged in constructive play, your child should be experimenting and creating the environment. Building blocks, playing in the sand, or Legos are great examples of constructive play. Social play allows your preschooler to interact with children in the same age group. This type of play should have some sort of structure and teaches children valuable social skills such as conflict resolution, sympathy, and patience. Go ahead and schedule that play date! Dramatic play occurs when children assign and act out pretend roles. It involves stepping outside of reality and pretending to be someone else. In this process, children can experiment and explore, ultimately learning appropriate self-regulation and the proper way to behave in different social settings. Dramatic play can include playing house, hosting a tea party, or playing with dolls. Sensory play lets your child experience things that stimulate their senses. Whether it is music, painting, watching the clouds, or playing with play dough, these activities activate different areas of your preschooler’s brain and helps them explore using their senses! Remember that their favorite toy is … YOU! The quality time you spend with your child playing and responding to their needs is the most important ingredient to their healthy development. Check out these games to support your child’s play time. Watch this video for tips on how to facilitate and respect your child’s play.